After two very enjoyable days of fly fishing for smallmouth it was back to walleye fishing. 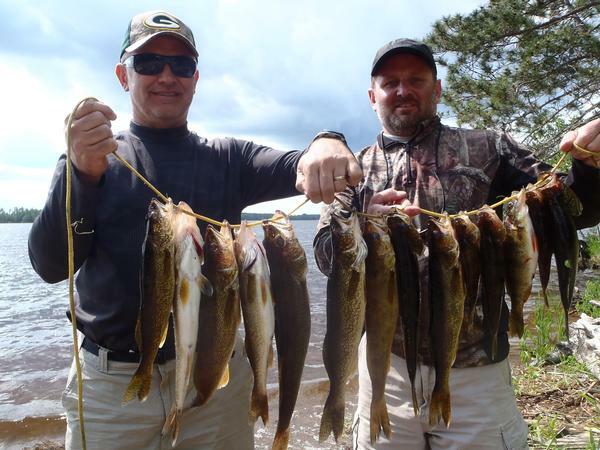 The bite was on, we caught a lot of fish, with a little bigger average size on the walleyes then some days. We also had some nice perch and a bonus big crappie while fishing the eyes. 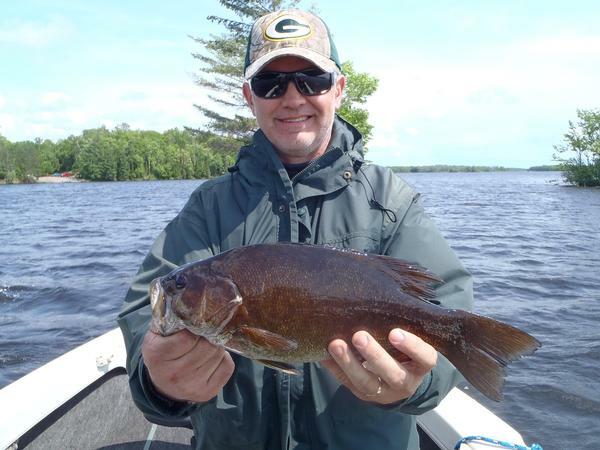 With a nice catch of fish in the live well we took some time to go after smallmouth in the afternoon. We started shallow mid lake flats and found them empty. We then threw crank baits into rocky shorelines and found some aggressive fish. A note I made in my log is the fact that minnows caught way more fish then crawlers. I had a leech on a dead stick for a few hours as we fished different spots, it went untouched. This is a bait transition time of the year often at this time we're not taking minnows but this year I'm still taking them until the fish tell me different. Wale asked a question about the bottom composition from 6-5 post on blue gills. It was a soft silty bottom in 4.5fow. I'm not a student of blue gills I know they were close to spawning. I don't think they spawn on a bottom like that but there was probably sand not far away. 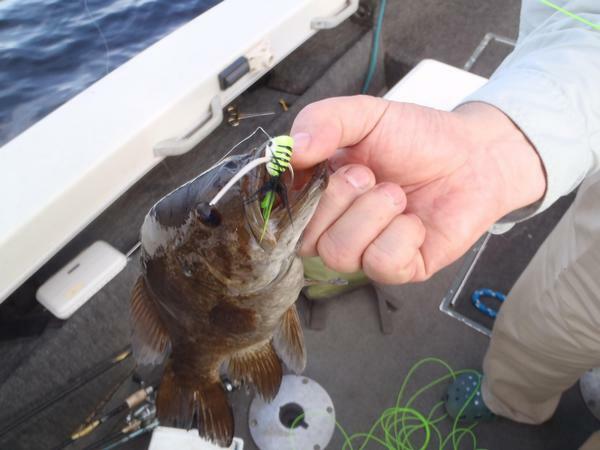 I do know they are a hard fighting fish, a lot of fun to catch and are a favorite eating fish. Thought the trolling question was well answered.